One of my favorite things about summer is going to the beach. 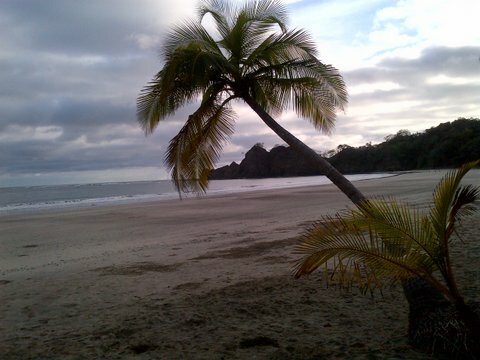 I love to relax and enjoy the sun, sand and ocean. Here are all the essentials you need to soak up some rays safely, and in style! Before you head out the door, make sure to slather on some SPF so it has time to soak in and protect you from harmful UV rays. 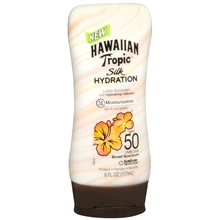 I love Hawaiian Tropic’s new Silk Hydration sunscreen. It is available in SPF 12, 30 and 50 for whatever level of protection you need, and it smells incredible! It also contains nourishing antioxidants and moisturizing shea butter so it feels amazing on skin and not greasy at all. A fab hat helps protect your hair and face from the sun. I’m a huge fan of Hat Attack’s straw hats. Rihanna was recently spotted in this beaded cowboy style. 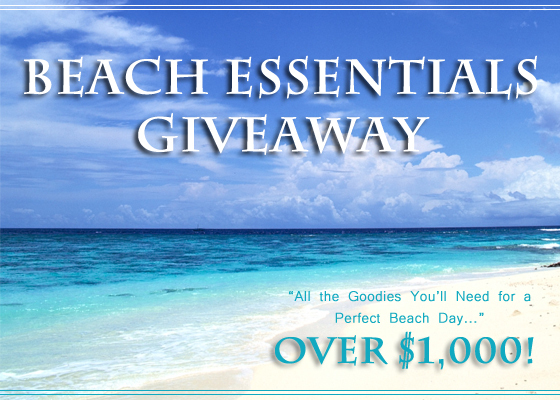 It’s perfect for a boho chic beach look. Keep the sun out of your eyes with a chic pair of classic sunnies. This pair from Ray-ban folds up, so it’s perfect for carrying with you. 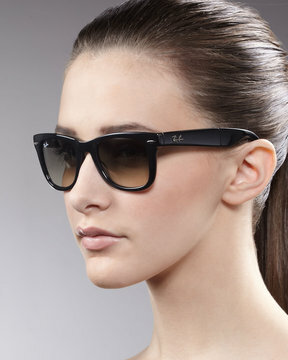 Plus, a wayfarer is flattering on almost every face shape. Don’t forget to protect your lips, too! Hawaiian Tropic’s lip gloss has a sheer wash of color and shine to look your best while you’re at the beach. A luxe beach towel to lay out on is a must. 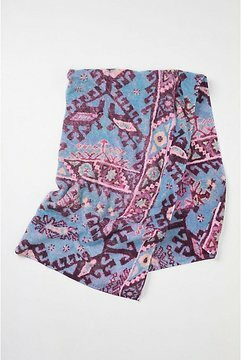 Tribal print is huge for summer, so stand out in this bright Anthropologie towel. 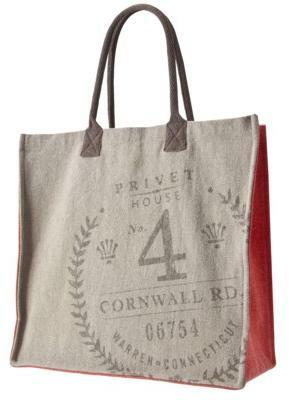 Throw everything in a chic tote like this one from Le Privet’s line for Target. I love that the neutral bag has a pop of color. It comes in green, too! A great beach to street dress is a staple, too. Lavender Brown makes amazing on-trend frocks that double as a cover-up. This python print babydoll is a great way to try the animal print trend. You’ll also need a great sandals. Check out our 7 faves! Stay tuned for our picks for the perfect swimsuit!